Lern Yourself Scouse is an 80 page booklet that contains Liverpool phrases and slang. Prescot is mentioned inside the booklet to illustrate how the Liverpool accent is not widespread. 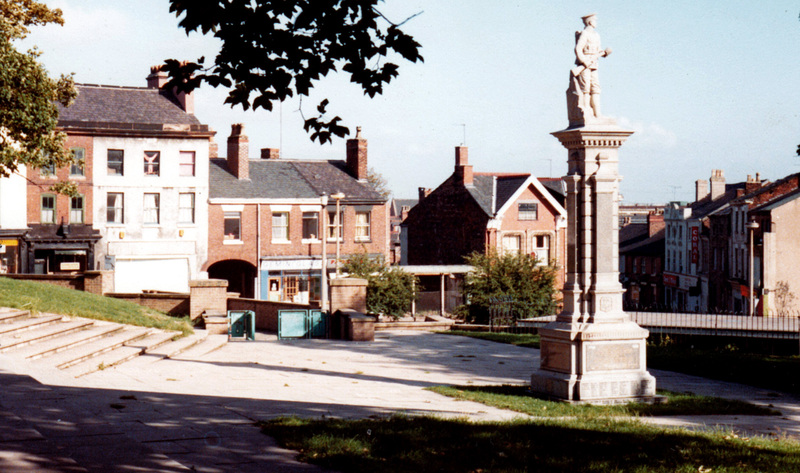 Eight miles away from Liverpool, the people of Prescot speak with a Lancashire accent. Or they did when the book was written. Now it is more complicated. Liverpool has exported people and culture, and, since the Beatles and the growth of football, both have been welcomed. Prescot has a population of 11,000. A workhouse was built in 1707 and this existed until the last century. A Parliamentary Report in 1777 identified ten workhouses in Liverpool and Merseyside. To prevent embarrassment for those born in the Prescot workhouse, the place of birth was quoted as 1 Warrington Road Whiston. The success of the ploy was short lived. As a child, I lived a couple of miles away from Prescot. The Merseyside hinterland had space and advantages over a hard-pressed City. Fathers always had jobs, children went to decent schools, families lived in houses that had gardens and the tenants paid affordable rents. Then poverty was exceptional, and the countryside, though flat, was comfortably close. Now the ‘B.I.’ has disappeared, and so have the jobs. Prescot Playhouse existed in the 16th and 17th Centuries and had a good reputation. The theatre was built to present the plays of Shakespeare. The Playhouse has been honoured by a mural in the town. Nobody was tempted to resurrect a theatre. Prescot once had a cinema called the Lime House but that was closed in the 60s to welcome a supermarket. Now the town has shops and a modest mall that obscures its history. The famous Shakespearian actor John Philip Kemble was born in Prescot. Kemble Street was named in his memory. Kemble was famous for his precise controlled modulation. He delighted the audiences at Drury Lane in London. One more mile of Scouse accent, and it could have been another life for the actor. Daniel Craig, the latest James Bond, lived part of his childhood in Prescot. Stuart Sutcliffe was an original Beatle and he attended Prescot Grammar School. The local football team is called Prescot Cables, and its name remembers another era. The team has not had a distinguished history but there was a time when, at the end of every season, it would play a selection of stars from Liverpool and Everton. I watched them draw 4-4 one year. Stone Street connects a convenient car park to the main street. 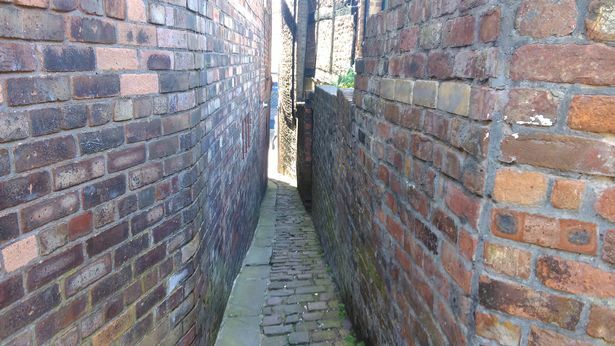 It is no more than 1.5 metres wide but Stone Street is not the narrowest street in Britain. That is Parliament Street in Exeter. Fame is denied the town. This is life in the hinterland on the outskirts of a famous city. Posted in Beatles, BICC, Cilla Black, Daniel Craig, James Bond, John Philip Kemble, Lime House Cinema, Margaret Thatcher, Prescot, Prescot Cables, Prescot Grammar School, Prescot Playhouse, Prescot Workhouse, Stuart Sutcliffe, William Shakespeare and tagged Culture, tourism, travel, UK history, uk travel on September 26, 2015 by Howard Jackson.